O.J. 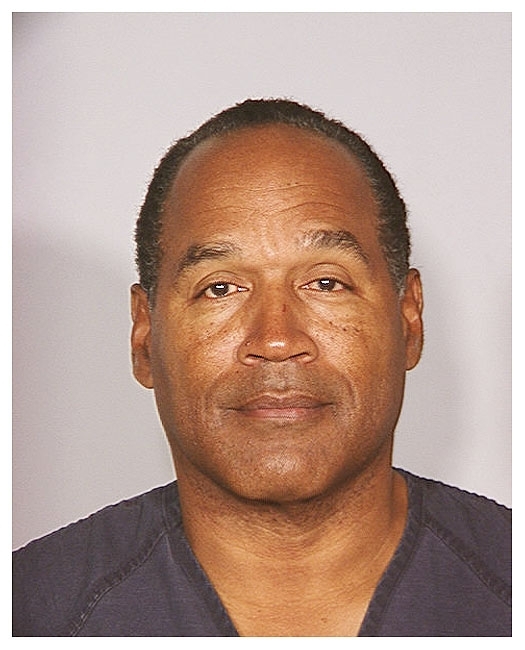 Simpson posed for the above mug shot following his October 2008 conviction on armed robbery and kidnapping charges in a Las Vegas district court. Simpson, 61, was immediately taken into custody at the Clark County Detention Center after the jury verdict was read. He faces a minimum of five years behind bars when he is sentenced on December 5, but could end up spending the rest of his life in a Nevada state prison. Submitted by clairpie on Tue, 2011-03-15 18:56. Submitted by midnightrider on Mon, 2011-02-28 23:54.
run juice run, yes you did it!! Submitted by nastynorm on Sat, 2010-12-11 00:45. Submitted by sephiroth_domain on Thu, 2010-09-02 03:48. Submitted by Hank Scorpio on Sat, 2010-08-28 03:16. May he rot in jail forever.